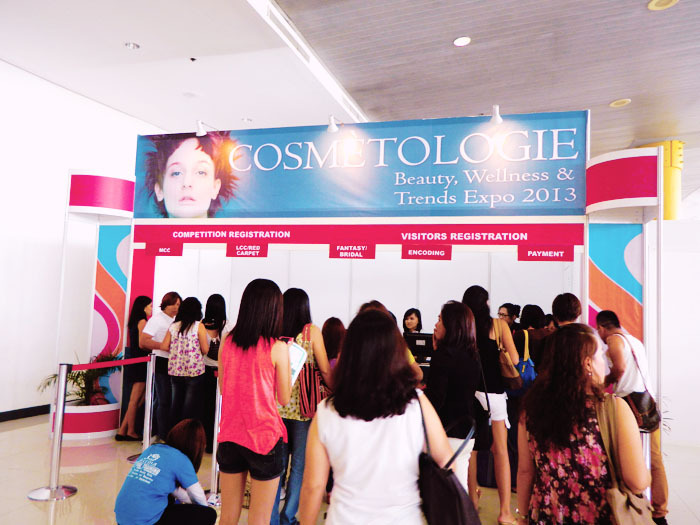 Me and 3 of my colleagues were asked (by the boss) to attend the Cosmetologie Expo last April 9, 2013. 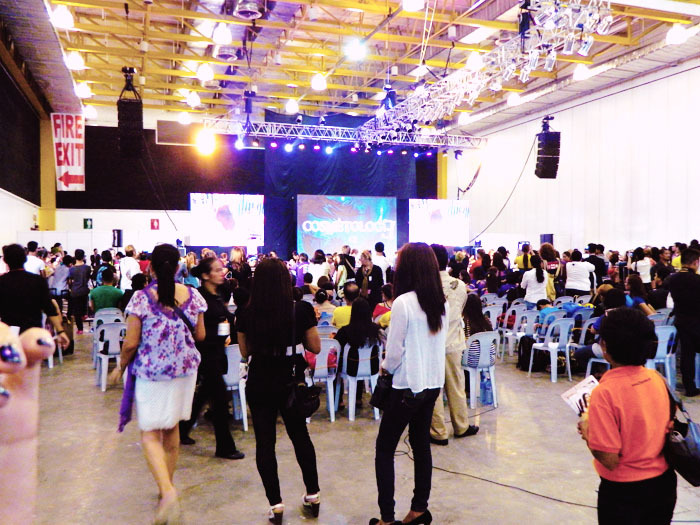 I was really excited since it will be my first time to attend such event. I've heard a lot of good stuff last expo and was really hoping that it would be better than the last one. I made sure that i bought my camera with me to share it with you. 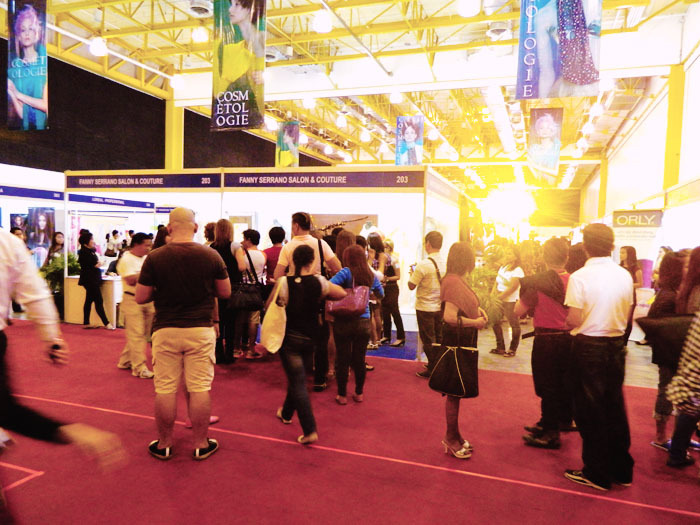 We paid P100 for the entrance fee. 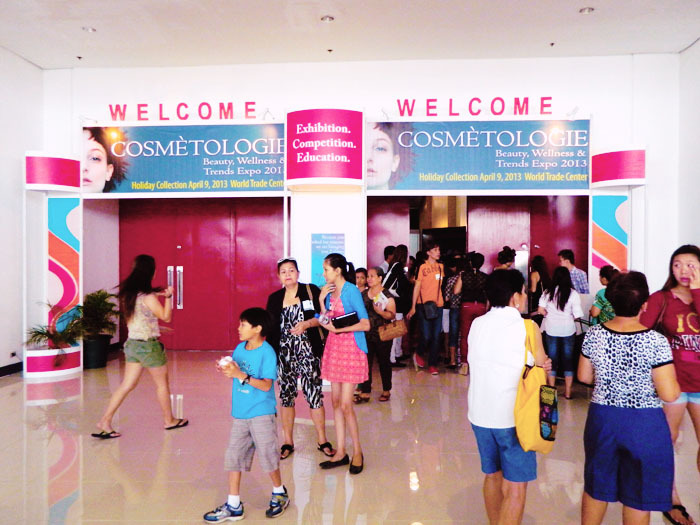 Entrance for the Cosmetologie Expo. 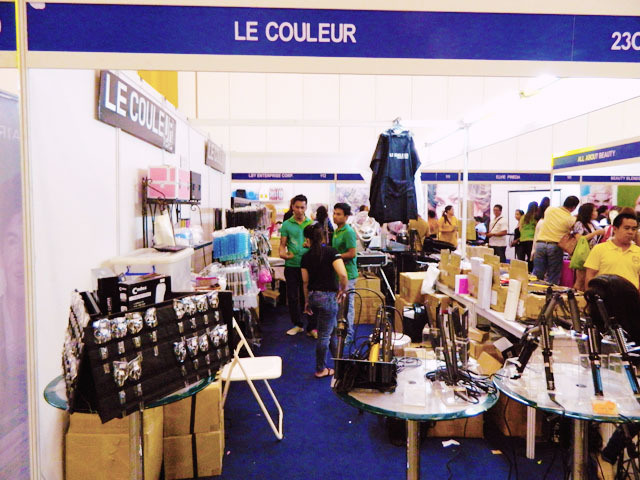 The very first stall is for Fanny Serrano. People lined up to take pictures with him. Honestly, I thought the food was free. LOL. But it wasn't. Too bad. The stage for the hair and makeup competition. Wasn't expecting such visitors for the event. 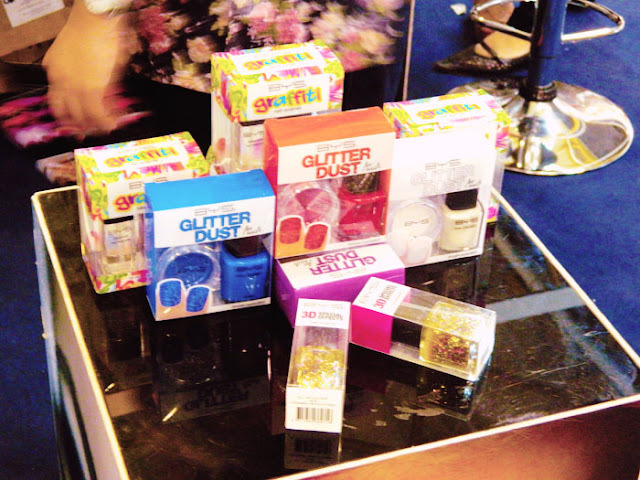 Another nail art store, but I wasn't able to get the name. 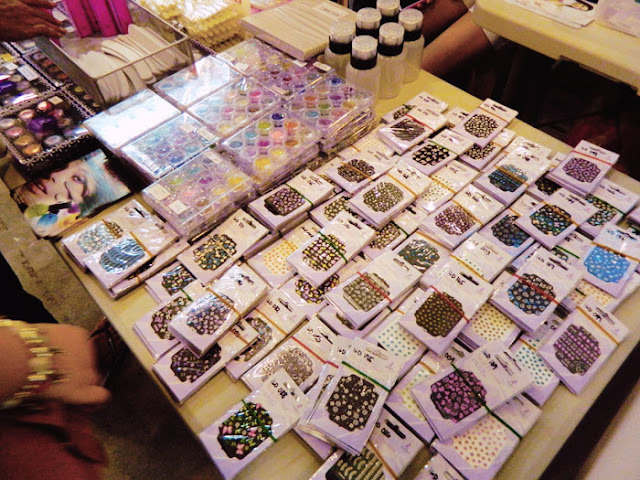 They're selling these stickers for 4 for P50 only. 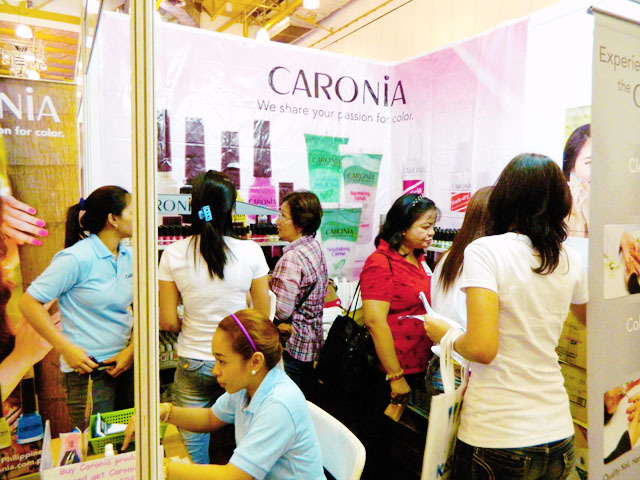 Caronia's stall. Can't get through. So didn't have any chance of buying anything. One of our favorite stall from the event. 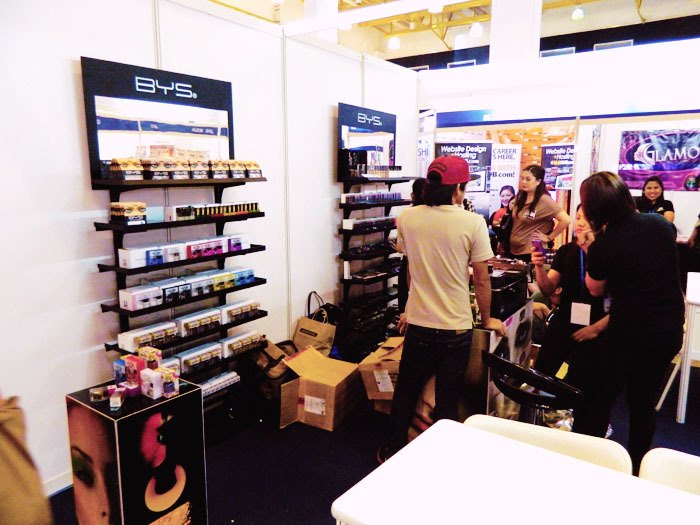 They sell NYX, Wetnwild and even Korean products. But everything was so expensive. I was expecting it to be cheaper. So again, didn't bought any. 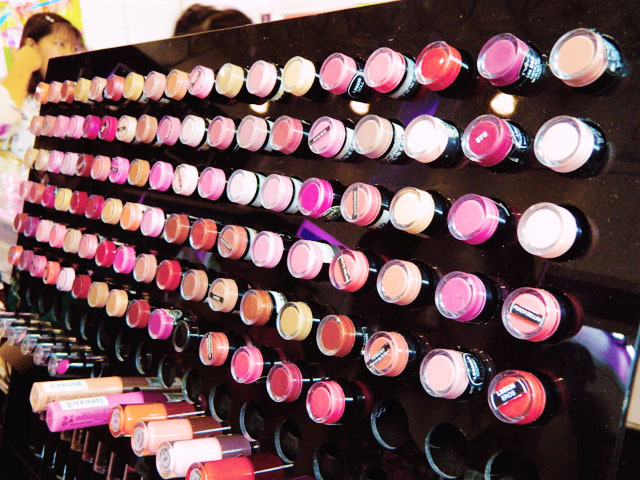 I love this lipstick rack! 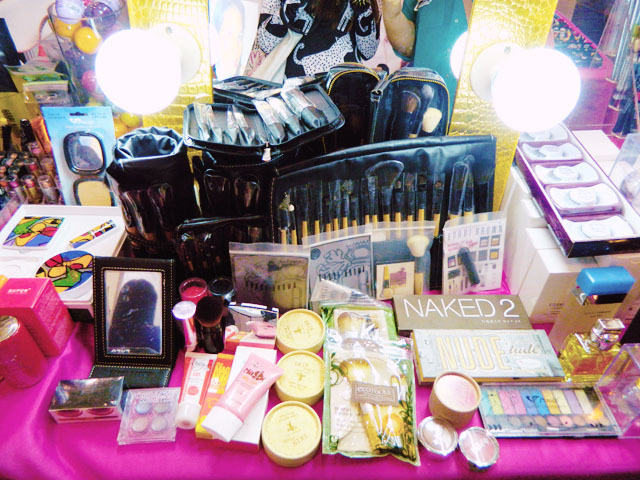 More of the most loved products! Last photo for that day, Naked palette. I have high hopes for this event. I even put effort to my attire. (I'll blog about that too) But I was a bit disappointed. 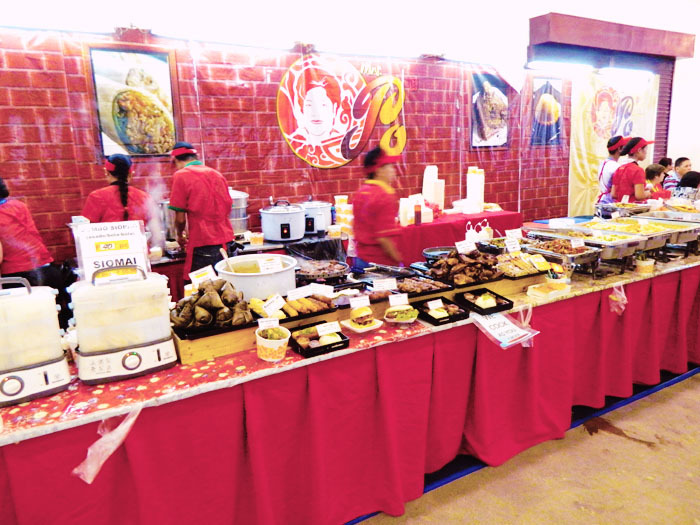 They focused more on the competition and most of the stalls are almost empty. Like only giving out flyers to those who pass the stall. What the?! I need to see the actual product. Not the photo of the product! That's the main reason why we attended the event. To be able to see what's new and up for the season. But nothing's really new that day. I'm was also planning to meet with Gellie and Aya but we got out too early and never had the chance to meet them. huhu (coz there's nothing much to do in there). So I think that's all for this post. 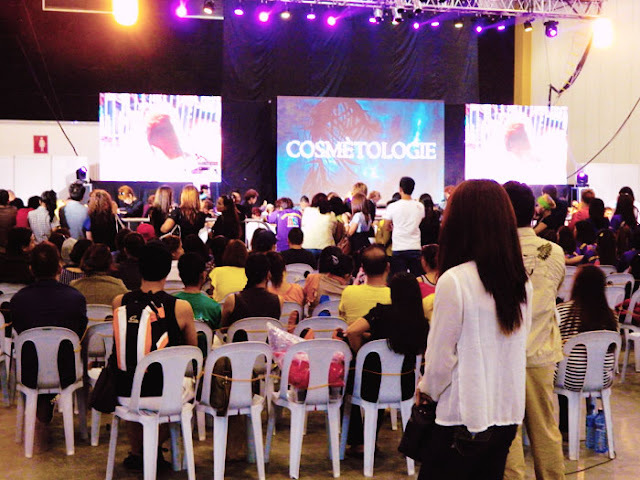 I hope the next cosmetology event will be better. 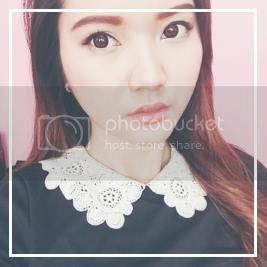 How about you, did you attend the event too? Sayang I wasn't able to go! The nail stickers OMG! I want! 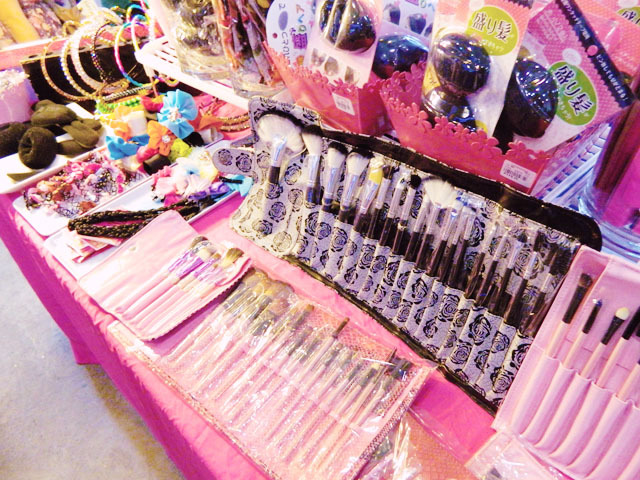 Btw someone's selling fake Dolly Winks there! Sayang nga. I wasn't able to go. 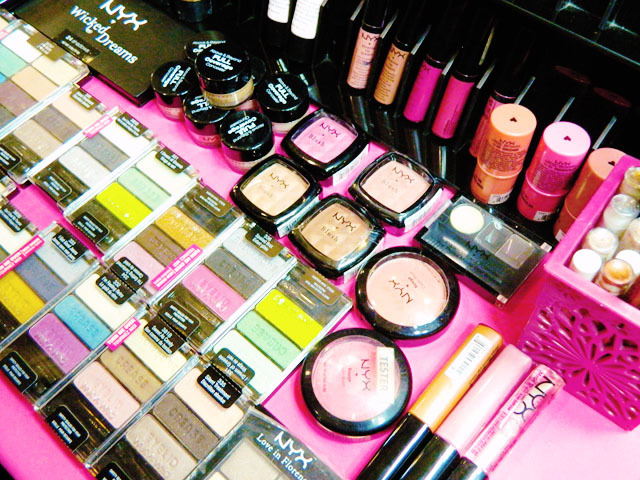 I want the Nyx and Wet n' Wild stuff! There were so much things ! You were lucky ! Huhu ¨! Great photos! 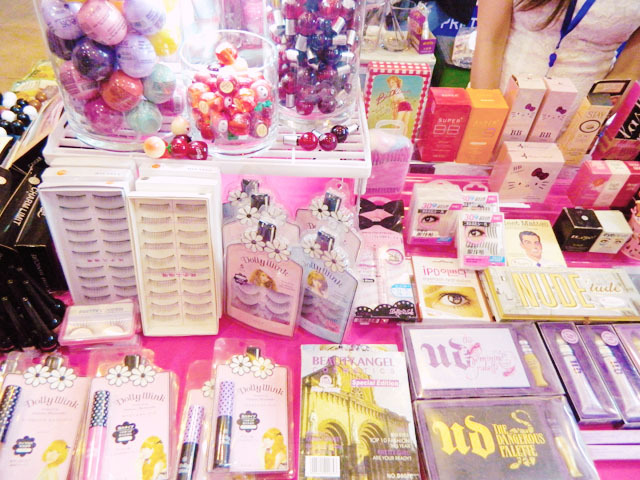 I probably would have bought soe NYX and Wet n Wild products from there. 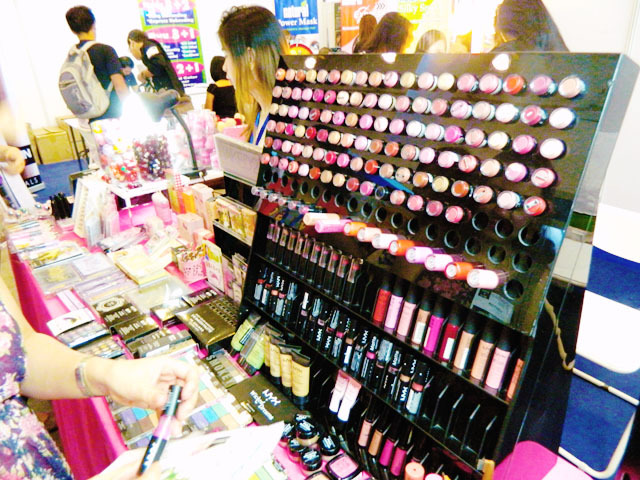 Wow really lovely stands a lot of makeup. The expo looks like tons of fun, so much to learn and love about makeup! Thank you for stopping by...hope your day is going well!